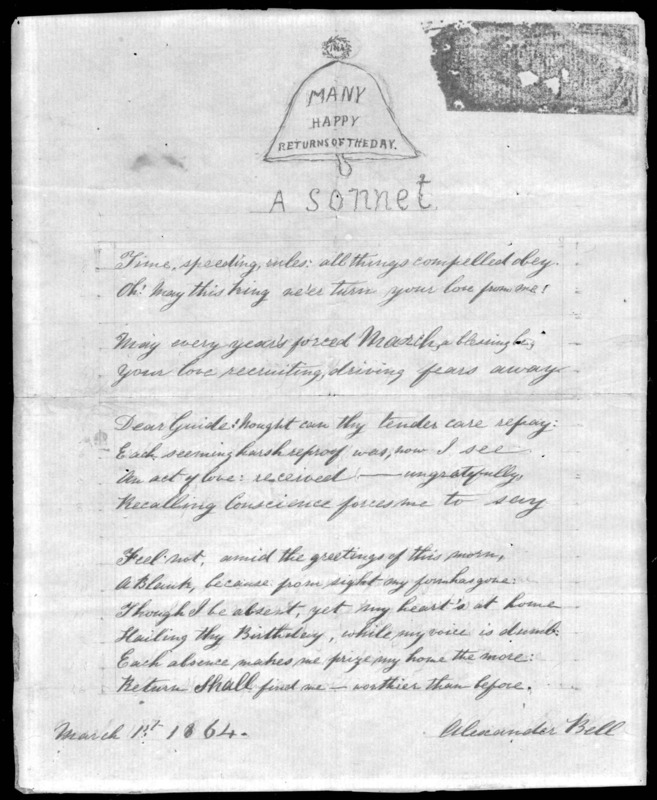 Sonnet written by Bell on March 1, 1864 for his father's birthday. Text from the Library of Congress. Time, speeding, rules: all things compelled obey. Oh! May this king ne'er turn your love from me! Your love recruiting, driving fears away. Recalling conscience forces me to say. Return shall find me—worthier than before.